Among the infinite number of tattoo designs out there, infinity tattoos for men are some of the most popular. This is to be expected because the everlasting symbol transcends cultures and can mean something unique to a certain person. There are so many ways to customize the design, giving an individual a unique tattoo that truly defines him. The infinity symbol may be a popular choice, but you can style the tattoo to make it your own. Two loops with no end. This is the most basic definition of an infinity symbol. The mathematical concept has long since made its way to the realm of art, showing its versatility as a way of expressing never-ending cycles of rebirth or endless devotion to one person. 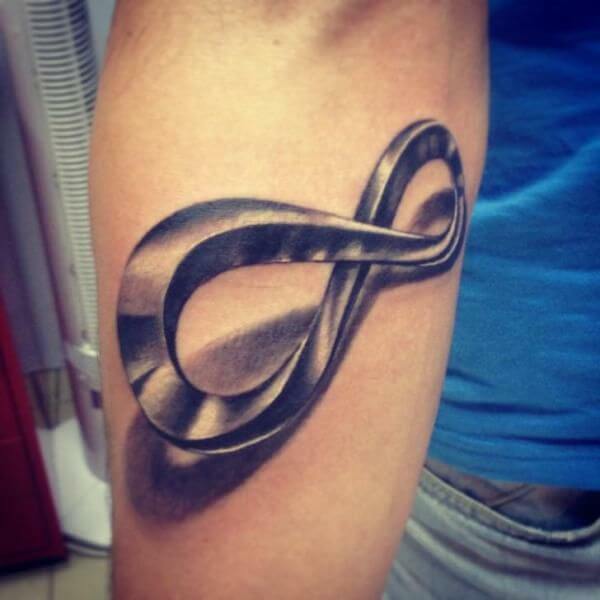 Now, thousands of people have an infinity tattoo. 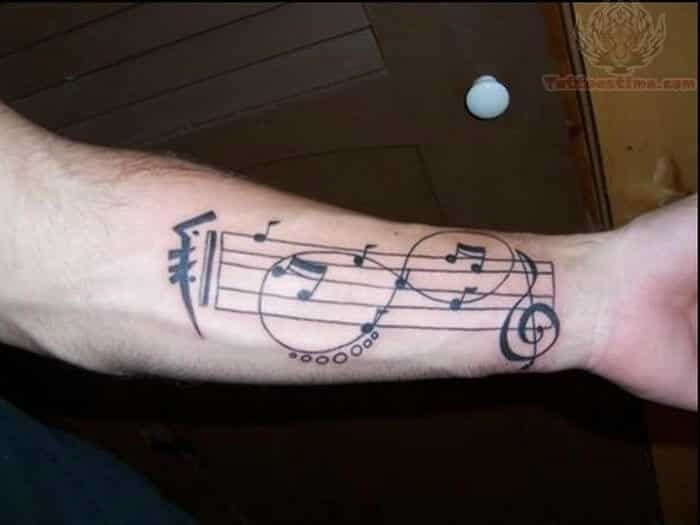 It can be tattooed to any part of the body. It can be a simple infinity symbol, it can be a double infinity, or it can have some other symbols, such as hearts, arrows, and even vines growing on the loops. Whatever personality you have, there is a design involving the infinity symbol to fit you. This is why tattoo artists offer customization. 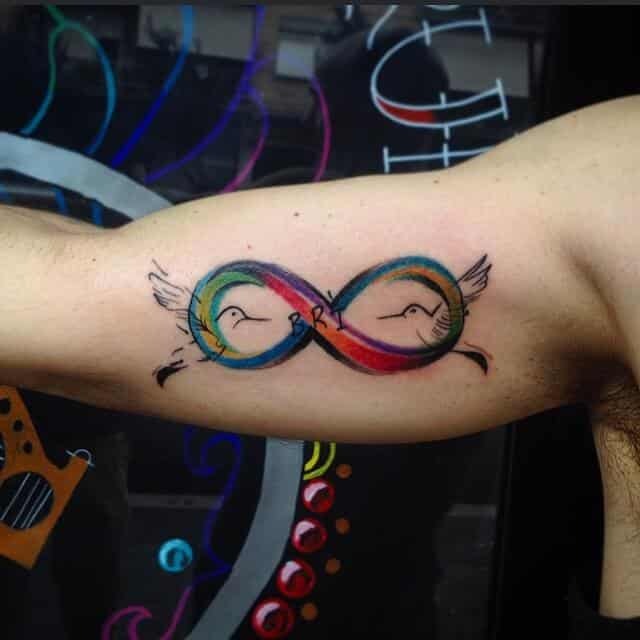 They can talk to the client to know what the infinity tattoos for men are supposed to symbolize in their life and, depending on their response, the tattoo artist can come up with some concepts and suggestions. Your tattoo can be a look into your soul, and a reminder of something important to you. The idea behind the infinity symbol is simple enough, but like the concept it represents, it is limitless and never-ending. It represents the beginning and the end of time in some cultures. In Norse mythology, the symbol represents a snake that holds the world and the sea in place. Alchemists also used the symbol to represent life energy. It conveys so much meaning inside those two loops joined by a single never-ending line. 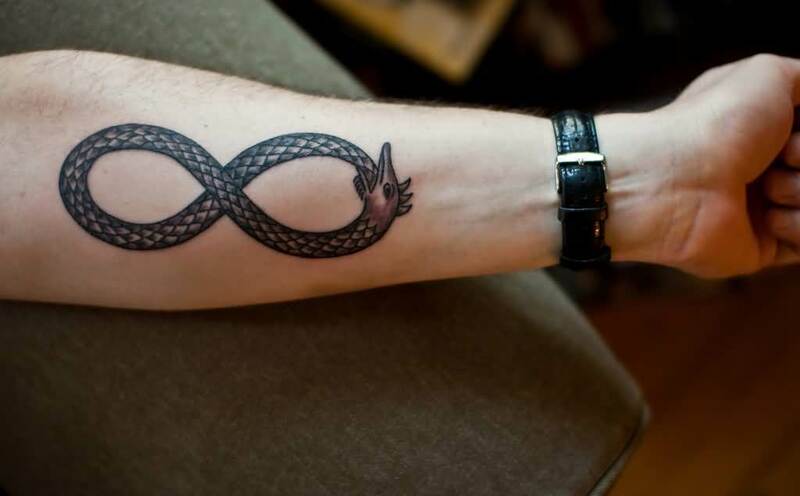 One of the reasons a man might get an infinity tattoo is to match with his partner’s similar infinity tattoo. They can have the symbol on the same location in the body, and they can incorporate each other’s name into the loops. 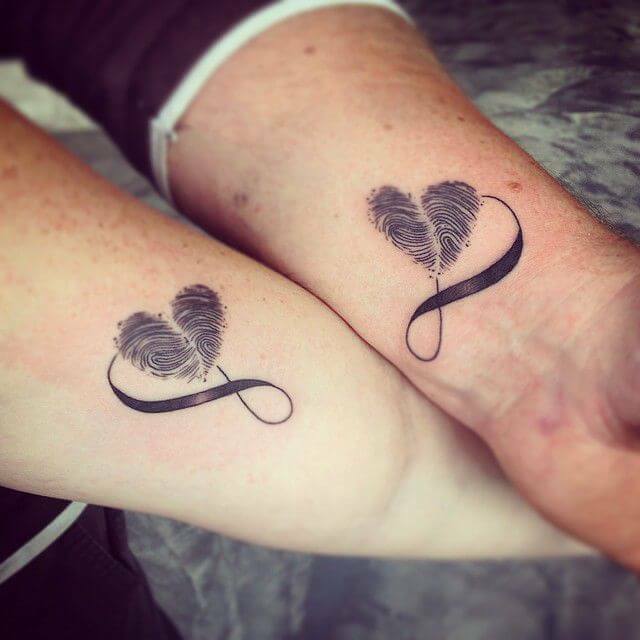 Hearts and memorable dates can also make an appearance, especially if they want to commemorate an anniversary by getting the tattoo. 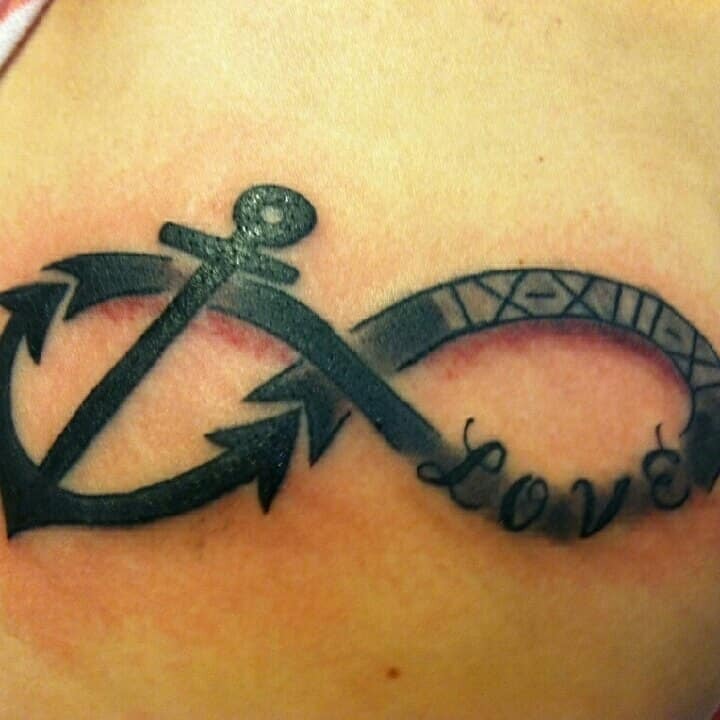 An infinity tattoo does not have to symbolize romantic love, however. It can show one’s devotion to one’s parent, friends, religion, or beliefs. It can be a reminder that dark times won’t last, as life comes full circle. It can also be a promise to yourself to always do better. Some also get the tattoo as a reminder of a bind that they will never break. Anyone considering a tattoo should look into the many ways to design an infinity tattoo. It’s a cool art symbol to have on your body, and it would be fun to give it your own meaning. Next time someone comes up to you to ask about the meanings of your tattoo, you’ll have a great personal story to tell. 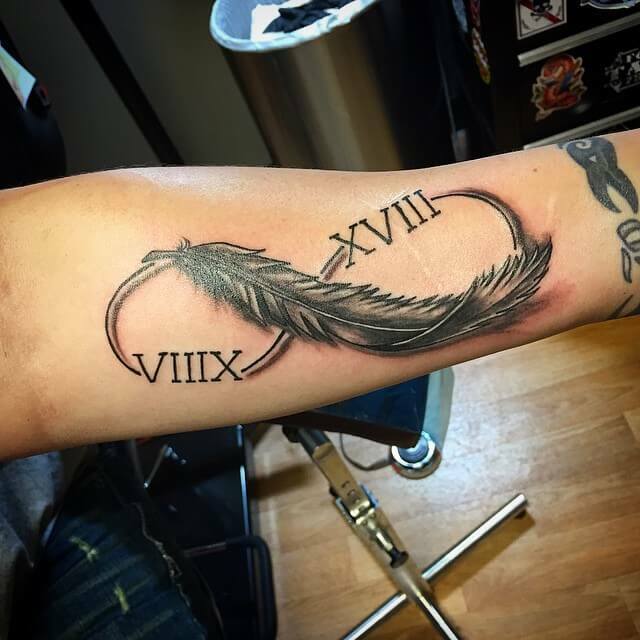 Here we see a feather integrated into the standard infinity symbol as well as the Roman Numerals for “18” and “16”, Of course, “18” here is represented as “XVIII”. According to this same logic, “16” should be “XVI”, right? But it isn’t; here “16” is “VIIIX”. Still, this is valid, and another way to represent “18” in Roman Numerals would be “VIIIIIX”. We’ll give you a second to figure it out. Here the infinite loop is also a Mobius strip, a rectangular strip that’s twisted and joined together to form a one-sided object with no end point. This neck piece combines three popular men’s tattoos ideas: the Naval themed Anchor, the infinity tattoos idea, and if you really want to be creative you might even say that there’s an Egyptian Ankh in there too. 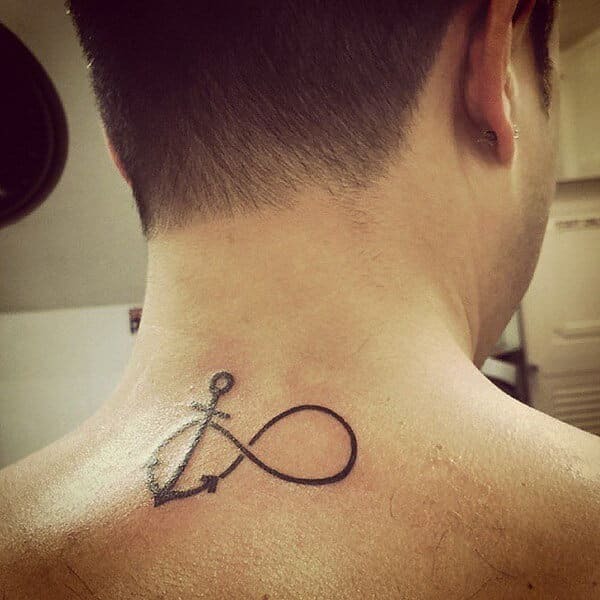 This time the infinity tattoo design integrates the anchor by having its arrow-shaped extremities (the technical term is “fluke”) fit snugly into a triangular cavity in the infinite loop. It brings to mind male and female, positive and negative, the ying and the yang, and the overall balance in everything. Whoever ‘Bri’ is I’m sure she’s absolutely thrilled that her man got this inked on his bicep. Unless of course her name is spelt ‘Bree’ in which case this guy needs to find a tattooist that’s good at cover-ups! Whether it’s a perfect circle or an infinite loop, the image of the serpent eating itself -which is properly known by the term ‘Ouroboros’- is a symbol used to represent nature’s endless cycle of destruction and creation that dates back to ancient Egypt (if not further back in history). The detail in the fingerprints here is quite impressive. 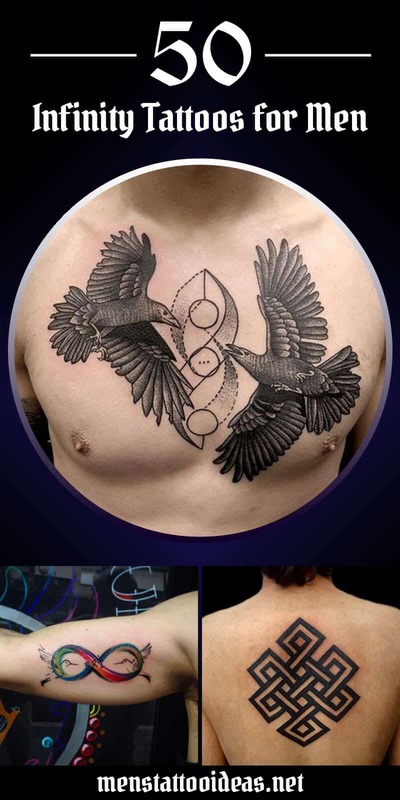 When it comes to these slightly left-of-center men tattoos ideas, you want to make sure that the artist can execute the concept. You don’t want to always have to answer the question “what is that?” when it comes to something that’s permanently inked under your skin. There’s no ambiguity here: those are fingerprints and they’re quite well done. Infinity tattoos for men done freehand like this one break the mold. Whoever did this piece has a good grasp on color theory and is also quite skilled at lettering. One of the main risks in tattooing lettering without a stencil is that the artist doesn’t quite get the spacing/sizing of the letters right and has to end up squishing the last letters in. 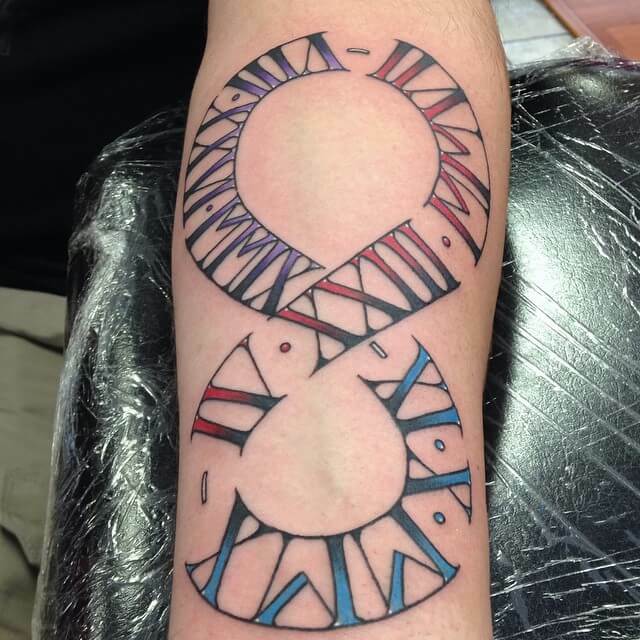 Starting from the first blue figure on the right side of the middle of the forearm, these Roman Numerals are ’11’, ’10’, ‘2010’, ‘9’, ’23’, ‘2007’, ‘8’, ’26’, and then there’s ‘2009’ in dark purple. Sherlock Holmes would deduce that these are dates: October 10th 2010, September 23rd 2007, and August 26th, 2009. 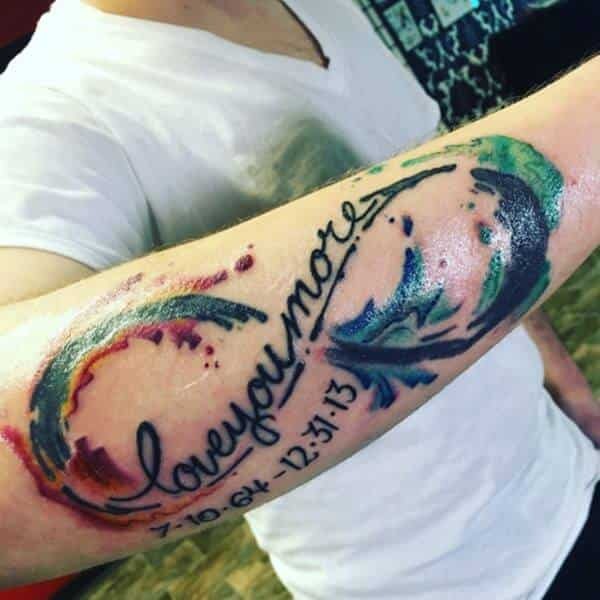 As is the case with most infinity tattoo ideas involving something so specific, without knowing the backstory, the particular significance of these dates to this man is anyone’s guess. The treble clef and the infinity sign are common signs that everyone instantly recognizes. We take them for granted, but if you’re willing to do the research you’ll uncover a rich history. These iconic symbols developed over many centuries. Nothing comes from nothing.